• CDR Enabled Flag—Cisco CallManager service parameter that controls whether CDRs are generated. Set this parameter on each Cisco Unified Communications Manager in the cluster. You do not need to restart the Cisco Unified Communications Manager for the change to take effect. • CDR Log Calls With Zero Duration Flag—Cisco CallManager service parameter that controls whether calls with zero duration are logged in CDRs. The default specifies False (zero duration calls not logged). • Call Diagnostics Enabled—Cisco CallManager service parameter that controls whether call diagnostic records that contain QoS information about calls are generated. The default specifies False (diagnostics not generated). • CDR File Time Interval—The parameter that determines how many seconds to write to a CDR file before Cisco Unified Communications Manager closes the CDR file and opens a new one. 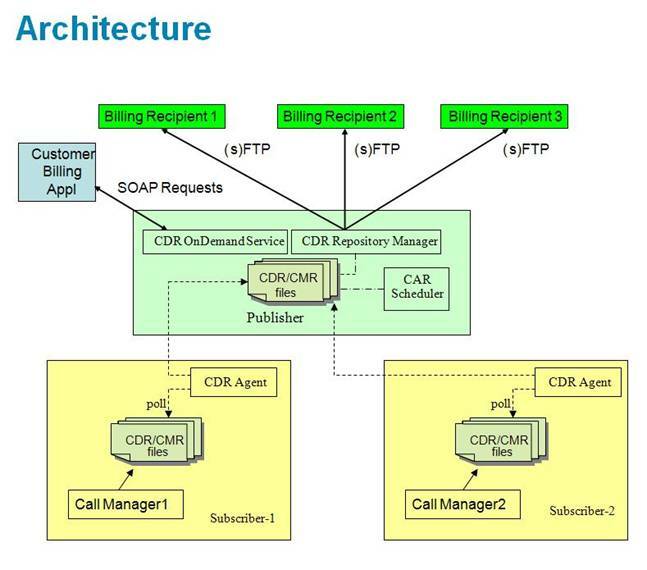 How do you use the Cisco CallManager CDR database to determine the list of all the toll calls that have been placed? Describes the format and logic of the Call Detail Records (CDRs) and Call Management Records (CMRs), how to access CDR/CMR files, and how to interpret the data. Describes how to configure call detail records (CDRs) and call management records (CMRs) and provides examples of these records.